Gifted and talented. Three little words that carry a ton of weight and can drastically shape and change your child’s future. While being considered gifted and talented should be a celebration and an exciting time in any parent and child’s life, it can lead to hesitation and uncertainty. After all, we all consider our children to be gifted and talented, just in different ways and in unique areas. 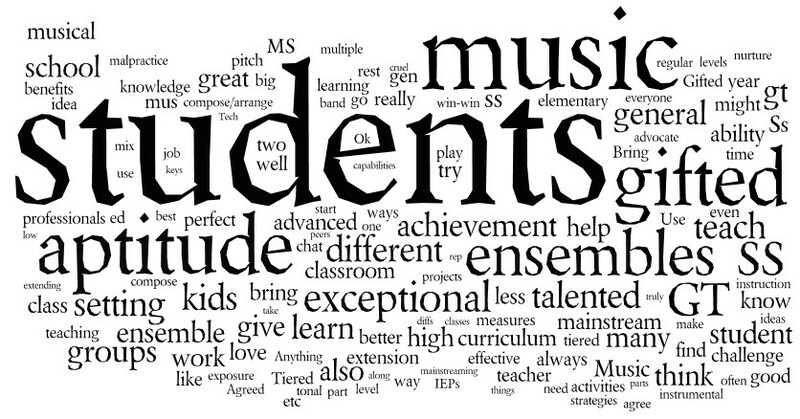 However, when it comes to programs in our schools, these words become much trickier. While this may be considered a great definition by some, it is still extremely broad and does not set any clear regulations or expectations, nor does it give you any indication, of how to get into a Gifted and Talented program. We have put together some tips for you if you are debating whether your child shows superior intelligence and skills, as well as how you can help prepare him or her for a Gifted and Talented program. As mentioned above, every state, and sometimes even school district, is going to have its own requirements and rules for how to get into a gifted and talented program. If you are curious of what your area requires, it is best to get in touch with someone from the school district that can help with any questions and give you the information you need. Below are some of the most recognized Gifted and Talented programs in the United States, as well as what their entry requirements entail. The New York City Department of Education administers the NYC Gifted and Talented test to determine eligibility of this competitive program for students who are entering grades K-3. The NYC Gifted and Talented Test is made up of verbal questions that are taken from the Otis-Lennon School Ability Test (OLSAT) and nonverbal questions that are taken from the Naglieri Nonverbal Ability Test (NNAT). The results from both of these tests make up the child’s final score. All students in Virginia City Beach Public Schools (VCBPS) are screened in their classroom when they are in first grade for Virginia Beach Gifted and Talented services. Students may also be tested as a result of a recommendation from a teacher, parent, or peer. Once students have filled out an application, they will be screened using the NNAT, or Naglieri Nonverbal Abilities Test. Students who score above the 90th percentile on the NNAT are then given the OLSAT, or the Otis Lennon School Ability Test. All applications and screening tests will be reviewed by the gifted and talented committee in May, and final considerations will be made. Chicago Public Schools (CPS) are home to Regional Gifted Centers as well as Classical Schools. All of these are grouped under the Selective Enrollment Schools category, and they admit academically advanced students. To be considered for a Regional Gifted Center, students must fill out Selective Enrollment Elementary Schools (SEES) application and then take the Regional Gifted Centers exam. In order to be considered for admission to one of the Classical schools, students must fill out the SEES application, and takethe Classical school entrance exam. Although CPS does not share the admissions test, the exam is often compared to the OLSAT or another common assessment used for gifted testing, or the Cognitive Abilities Test (CogAT). Discover everything else you need to know about the Chicago Public School Gifted programs here. Students in Texas school districts are required to be assessed in order to be eligible for Gifted and Talented programs. Although all districts have their own requirements for admissions to gifted programs, most will use test scores, admissions tests, and students’ grades in order to determine placement. For example, the prestigious Vanguard program in Houston requires students to score highly on various admission tests, including the Cognitive Abilities Test, or CogAT. The School for the Talented and Gifted in Dallas, consistently ranked the number one high school in the United States, requires students to score within the top 20% of their STAAR tests in order to even be able to apply. Check out the various admissions requirements for top schools in Dallas, Austin and Houston here. Los Angeles Unified School District requires students be referred by a parent, teacher, friend, or even self. Students must currently be enrolled in the LAUSD and they must be residents. Pending approval of the Gifted and Talented Education (GATE) committee, a student may be referred for GATE testing as early as the second semester of kindergarten. Referrals are based on student work, test scores, teacher recommendations, and teacher observations. GATE testing usually requires students to score highly on assessments such as the Iowa Tests of Basic Skills (ITBS), Cogat and the OLSAT. The best way to know how to get into a Gifted and Talented program in your area is to contact someone from your child’s school district. That person will be able to tell you which programs require which tests. Once you know which test your child is taking and the test level, you can begin to prepare your child for the actual test. The most widely-used tests for gifted programs in US public school districts include the OLSAT, NNAT and the COGAT. One of the admission test for gifted and talented programs in a variety of school districts is the Otis-Lennon School Ability Test, otherwise known as the OLSAT. The OLSAT assesses a child’s verbal and nonverbal abilities that connect to their academic success and achievement. The test is made up of 21 verbal and nonverbal different question types, which require children to follow directions, listen and deduce, and solve math problems, to name a few. The OLSAT is often taken in conjunction with another test, such as the NNAT, or the Naglieri Nonverbal Ability Test. For example, in the NYC Gifted and Talented Test, the OLSAT will make up half of a child’s final score, with the results of the NNAT making up the other half. Since your child may not be used to the many different problem types on the OLSAT, it is important to show him or her examples of questions that could be on the test. Another way to help them is to work through the problems aloud together, so they become used to the processes they would go through. By being exposed to sample tests, your child will gain the confidence needed to be able to successfully complete the OLSAT independently. Another test that is extremely common when assessing children for Gifted and Talented programs is the Naglieri Nonverbal Ability Test, or the NNAT. The NNAT is a nonverbal test, which means that students are not required to read, write, or speak, and it is composed of shapes and symbols. This test assesses nonverbal reasoning and general problem solving skills in students ages 5 to 17, and it is renowned for being culturally neutral and unbiased. This test is considered a more accurate determinant of raw intelligence as it does not discriminate against students who cannot read or students whose first language is not English. As the NNAT is another test that probably contains some questions your child is unfamiliar with, the best way to prepare her is to go through sample problems together. Many of these will involve pattern solving or spatial visualization, so again, it would be beneficial to ask your child to talk through her thinking, so she can keep those steps in mind once she takes the NNAT on her own. The COGAT is also a commonly used assessment tool that is utilized by Gifted and Talented Programs. Like the OLSAT and NNAT, the COGAT has different levels for students in grades K-12. There are ten COGAT levels and it is a group-administered, multiple-choice, and timed test. The COGAT has 3 sections: verbal, non-verbal and the quantitative. The COGAT contains many of the same type of questions as the OLSAT, and preparation can follow a similar path. For example, students can benefit greatly from taking COGAT practice tests and going though workbooks with COGAT-type problems to become familiar with the format and content of the test as well as to improve focus and stamina. Before the big testing day, it is not only vital to find out all relevant information about the test, but also to figure out the testing process, including the time of the test and information about the testing facility. Make sure to check the specific time your child should get to the testing center and the distance the site is from your home, the duration of the test, how the test is administered (eg: to a group or one-on-one) and the kinds of materials, if any, your child will need take with him to the testing site. This is also a great time to make sure you have filled out all important paperwork and sent in all required documents. Also, don’t forget find out when and how you will be notified of the test results. As you study for the different tests and prepare together, help your child determine what their most effective method of studying might be. It could be helpful to figure out if your child is a visual learner, auditory learner, or a kinaesthetic learner, and find ways to make studying engaging and fun for them. While the tests are important, you don't want it to be a stressful or unpleasant experience for them. It is necessary to remember that some children suffer from a performance anxiety that is often referred to as test-taking anxiety. While it is normal to feel nervous before an event or an important test, some kids suffer intense worry and panic that ends up negatively impacting their results. If you feel that your child has test-taking anxiety, find ways to help them relax when their mind starts racing, and teach them strategies to cope with their stress. Finding ways to deal with anxiety together will help them immensely down the line. As you begin to notice things that make your child unique and special, it is exciting to start the process of figuring out if they could be considered gifted. Defining what makes a child gifted or talented can be tricky, and, sometimes, figuring out how to get into a Gifted and Talented program can be even trickier. However, with some of these steps above, we hope to make the process a little easier for you so you can spend more time celebrating the awesome person that is your child. Discover and implement some critical test prep tips for helping your child prepare for the OLSAT. Examine and download GATE sample questions to help your child get into the gifted program. Accommodations can be made for gifted students. Discover your options.